Since hockey is played on ice, naturally, the best way to practice the sport in the off-season would be on ice. That is not always feasible, however, with the high cost of maintaining an ice rink, so Xtraice Home is offering a solution. The company, which has existed for 15 years, recently developed synthetic ice specifically crafted for hockey training. 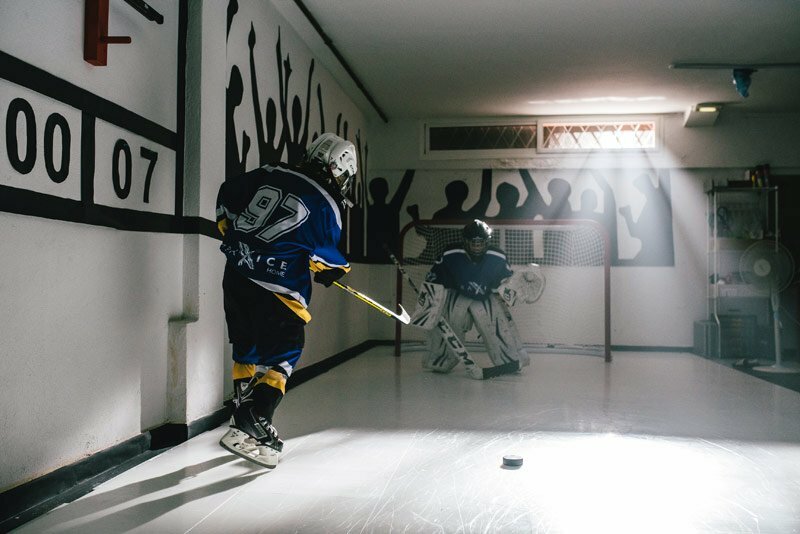 Initially, the company focused on building outdoor community ice rinks for skating, but it recently has decided to enter the hockey market. The firm’s objective is to put out a product to allow skaters to train year round and become the best players they can become. Although the product went on sale to the public only in late September, so far it has been licensed by USA Hockey. 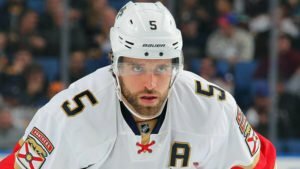 Meanwhile, Florida Panthers defenseman and 2014 NHL first-overall draft pick, Aaron Ekblad, reached out to the company specifically to request the product. Whalen, who hails from New York and graduated from Boston University in 2002, grew up playing hockey and said his prior experience with synthetic ice was not a positive one. 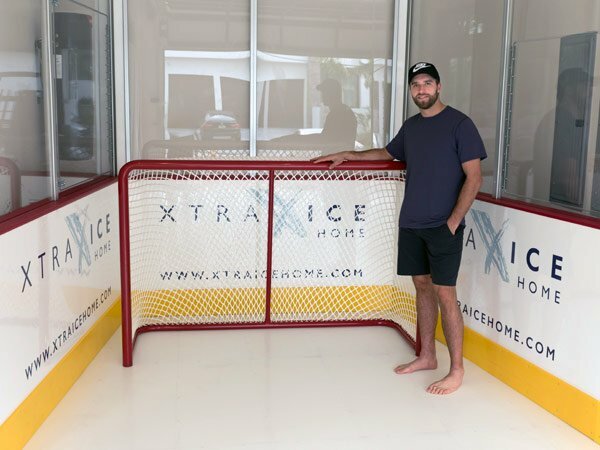 Xtraice Home prides itself on being different than even other modern synthetic ice products. For starters, Xtraice is self-lubricated, which Whalen says leads to a smoother and less-resistant training surface. Xtraice manufactures a one-size panel (19 inches x 46 inches; a half-inch thick). Customers can go to the store and pick up as many panels as they need to fit in the space they have. Hockey players now can have 24/7 access to the product at their own homes. Their website provides detailed instructions on how you can design your own surface, suited to your specific needs. Synthetic ice in general has a greater resistance than ice itself—one reason why synthetic has not overtaken ice in popularity like turf has overtaken grass in football, soccer, field hockey and lacrosse to become an in-game surface. While teams might not be playing 60-minute games on synthetic ice any time soon, the surface provides consumers with an experience more similar to ice hockey training than street hockey. Plus, one benefit of resistance is that it helps players build power, which can equate to speed on actual ice in game action. In order to keep the surface clean, consumers will not need to keep their own Zamboni at home. 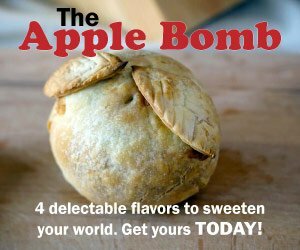 Instead, they can use a vacuum cleaner or a broom on their surface to keep the product intact. As of early October 2017, Xtraice Home’s products were available in 20 stores across 13 states, as well as online at xtraicehome.com. Their blog is regularly updated with new videos in their Home Training series, which is intended to give players drills to do on their home turf. Could you please send me an offer for a synthetic rink 15 x 20 m in U.K.
Hello, Tholen. I’ve contacted the manufacturer regarding your inquiry; I should have an answer for you soon. Ponytails & Helmets: Play Hockey Like a Girl!